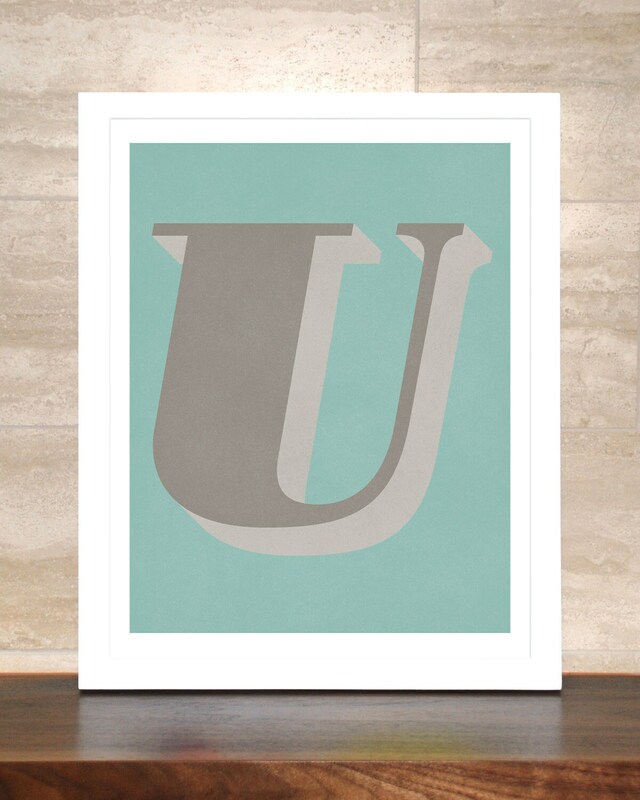 U is for...Uma, Upton, Umberto, Uri, Ursula, Usher... 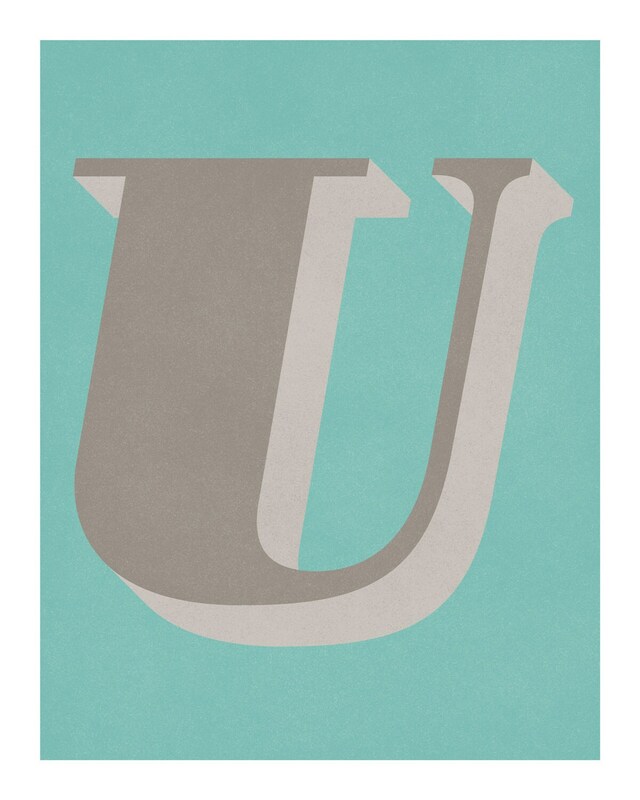 The Letter U is printed in warm grays on a teal background. Light digital "distressing" and grain has been added to give the print a worn, vintage look. 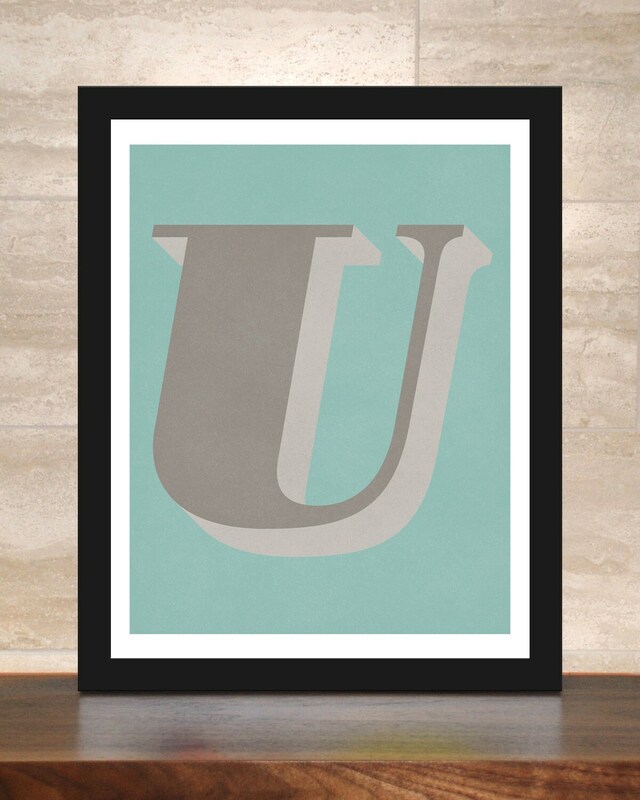 With a full alphabet now available, you can frame individual letters to create monograms, names, or an inspiring word like YES, THINK, BREATHE, or DREAM!